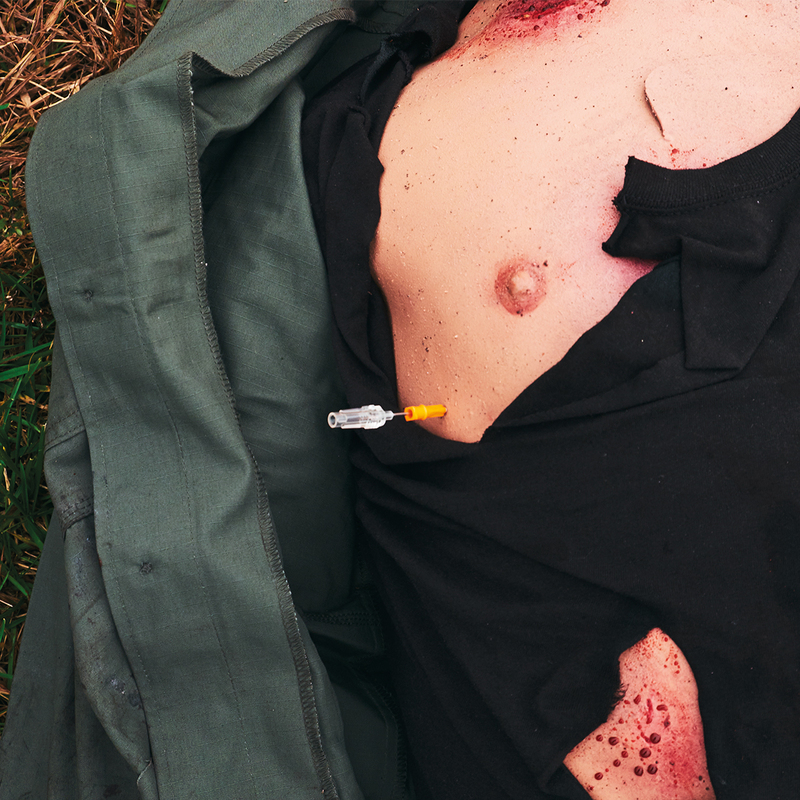 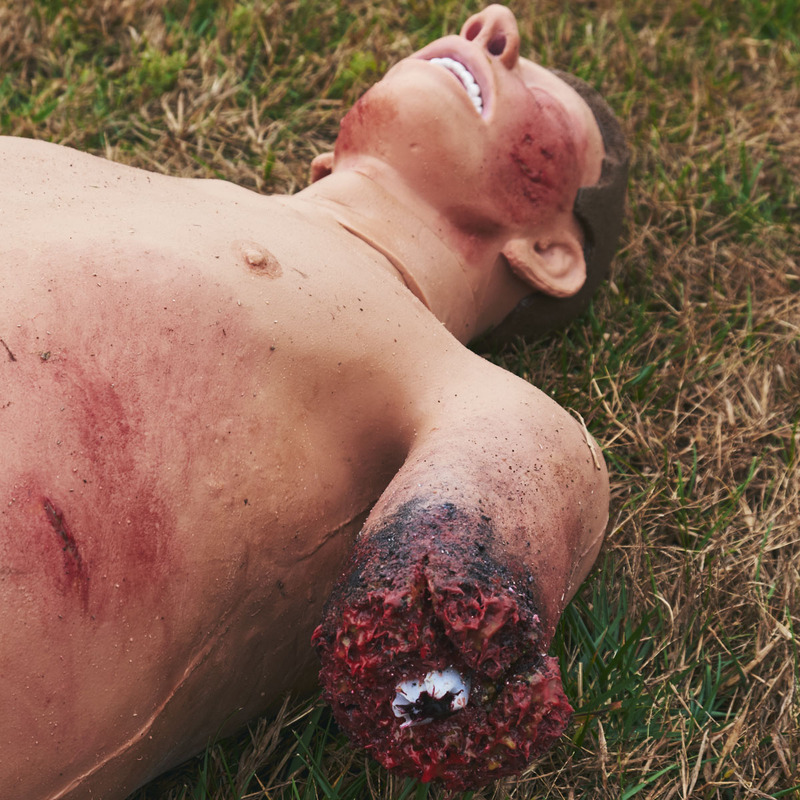 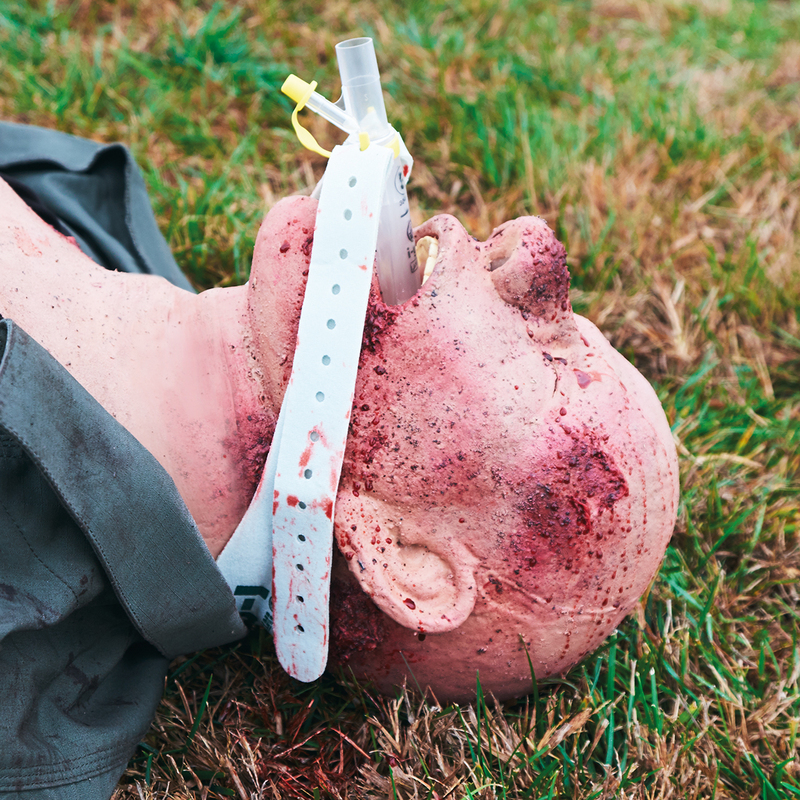 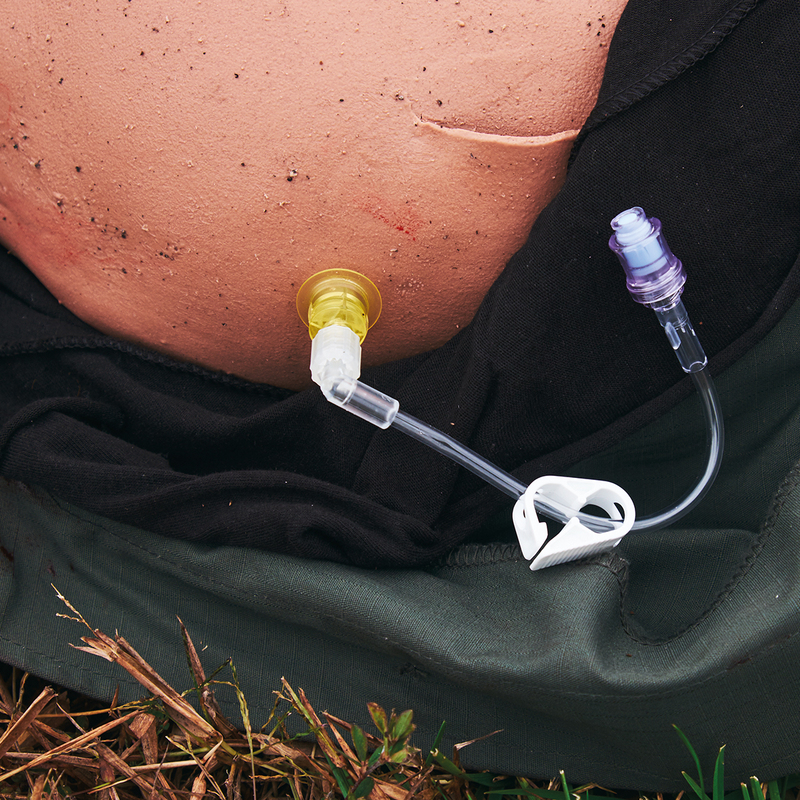 The full body Tactical Casualty Care Simulator 4 (TCCS 4) offers military, government forces, medical rescue, and private security the opportunity to realistically train combat trauma care for multiple traumatic gunshot wounds (including sucking chest wounds) and amputation injuries (above the left elbow and the left knee). 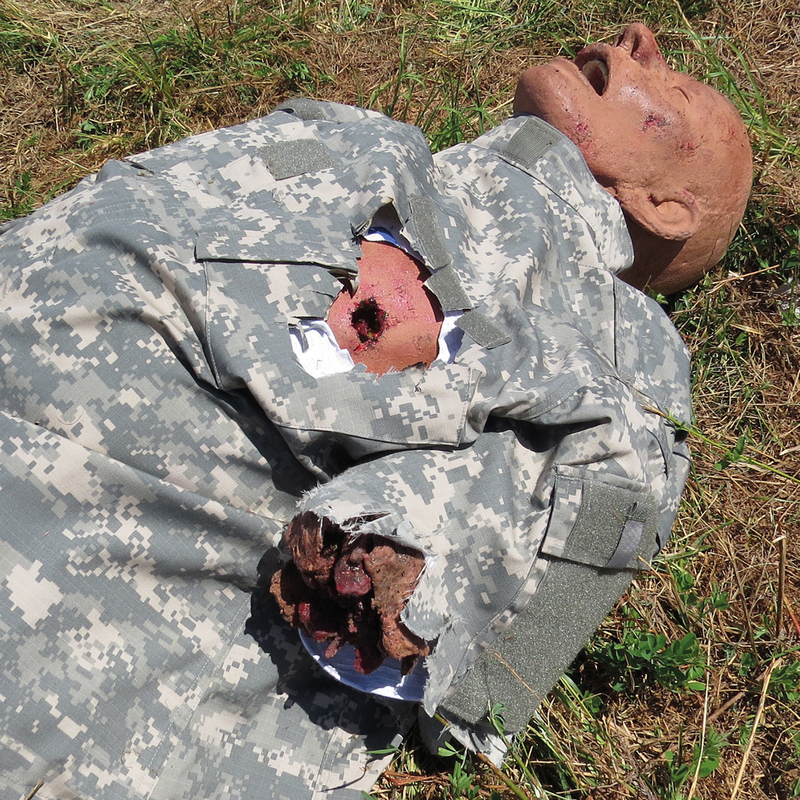 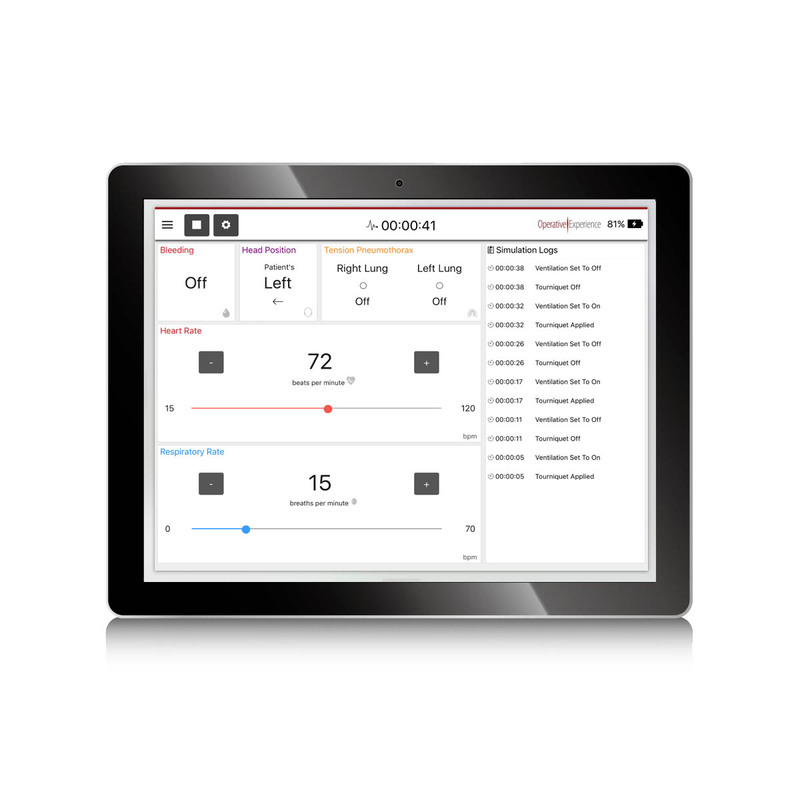 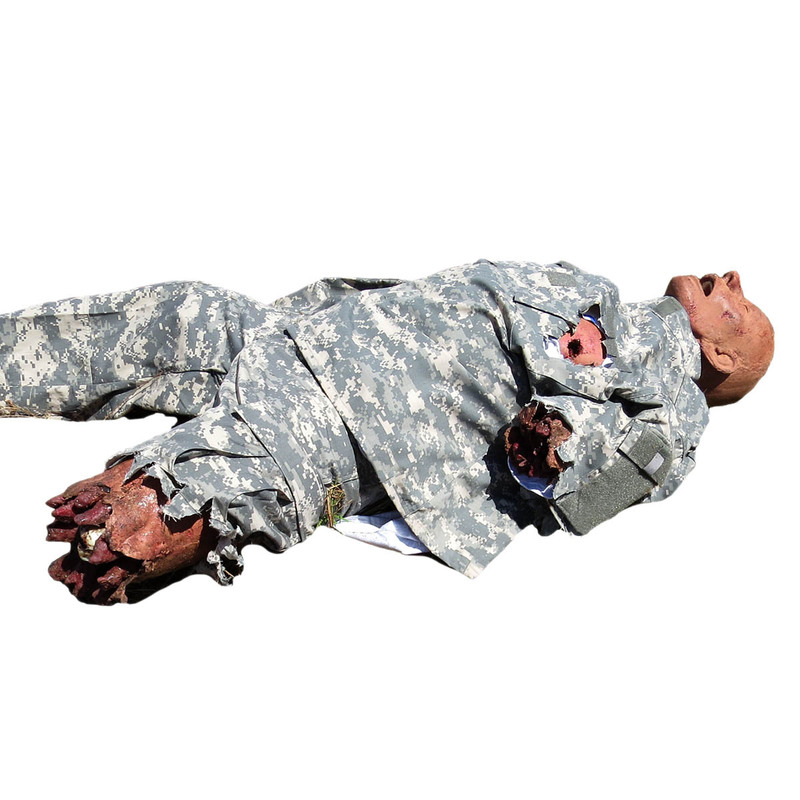 Use the TCCS 4 to simulate combat trauma scenarios featuring injuries from an IED (improvised explosive device) attack followed by an ambush. 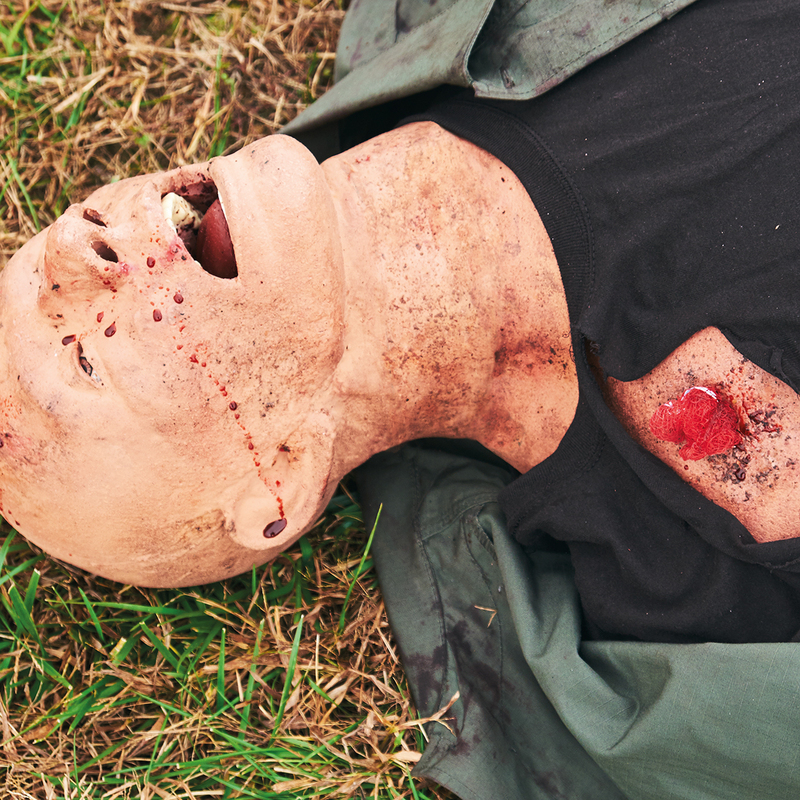 Prehospital patient care in combat scenarios focuses on fast solutions for hemorrhage control, wound management, and airway stabilization.